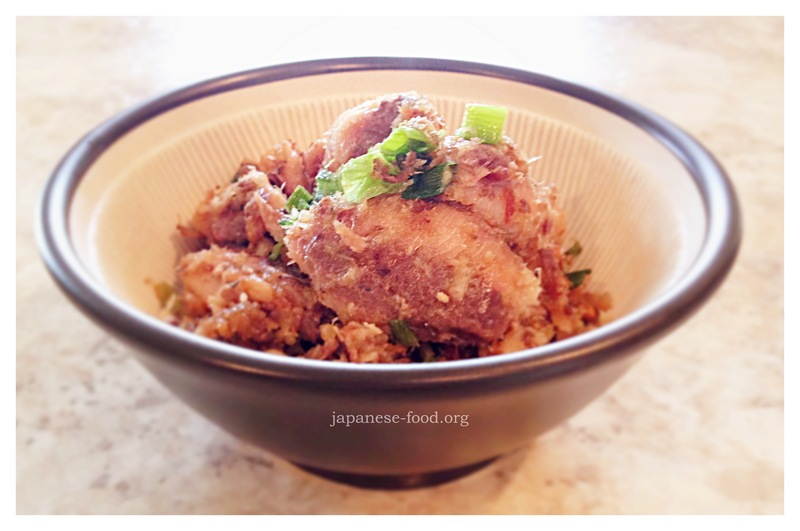 Today I introduce you to a Japanese traditional side dish which has a sweet-savory taste. In this recipe, various ingredients are slowly simmered in the sauce so that the ingredients have great flavor and great taste. I can’t stop eating it when I make it because it is so delicious!! I used shiitake mushrooms and ginger this time. Shiitake mushrooms are low in calories and also are a nutritious vegetable. They are high in vitamin D, fiber and vitamin B. If grocery stores near you don’t have fresh shiitake mushrooms, you can use dried shiitake mushrooms. Dried shiitake mushrooms have more vitamin D than fresh ones. The day before cooking, soak in water to reconstitute in the refrigerator. As you know ginger is also very nutritious. It makes our metabolism active and our body warm. The dish has a lot of awesome ginger flavor! If you or your family don’t like ginger’s pungent taste very much, you can cook the dish without ginger. Here are some tips to store shiitake mushrooms and ginger. I always freeze shiitake mushrooms in a zipper plastic bag. Cut to the proper size for the dish and cook without defrosting. Use within 1 month. I also freeze peeled fresh ginger and wrap it with aluminum foil. I use it within 3 month. The recipe is very easy and you only need a pan. Put prepared ingredients together in a pan at same time. If you like vinegar taste, you can add 1~2 tsp. of rice vinegar as a secret ingredient. Delicious!! Simmer with aluminum foil cover to cook and macerate evenly. To store, transfer it to a clean container and keep in the refrigerator. Use within 7 days. Categories: Shiitake Mushrooms, side dish, Uncategorized | Tags: beauty, fitness, Food blog, Ginger, gluten free, Health, vegan, Vegetarian | Permalink. Today I introduce you to Japanese Style Homemade Chicken Meatballs: “Tori-Tsukune”. This is a kind of Yakitori so you can have it in Yakitori restaurants. These homemade meatballs are delicious, easy to cook and great for to-go-lunches! I used ground chicken, green onion and tofu as the meatballs ingredients. Tofu gives the meatballs a soft texture and makes them more nutritious. It also allows you to make a larger number of meatballs. You can use only ground chicken if you don’t want to use tofu. In addition, you can add more vegetables secretly if your family doesn’t like vegetables very much, such as onions, carrots, mushrooms, broccoli and so on. I recommend mincing them really well and then adding the meat mixture. What I love about Japanese style meatballs is they are very flavorful because they are seasoned with grated ginger. And the sauce is sweet-savory like a Teriyaki sauce. It is seriously delicious!! Cook the meatballs and dress with the sauce prepared in advance. Skewer the meatballs if you want to make the final presentation great! Categories: Chicken, Meatball, Uncategorized | Tags: Chicken, Delicious, Easy, Ginger, gluten free, green onion, Healthy, Homemade, Japan, Nutrition, protein, recipe, Traditional, Vegetable | Permalink. Today I introduce you to “Udon Noodle Salad”. This is similar to “Pasta Salad”. In this recipe I used soy sauce, rice vinegar, sesame oil and grated ginger for the dressing so the taste is different from general Pasta Salad. It is great for a quick lunch because the recipe is very quick and easy. Of course it is also delicious and healthy. You can use any vegetables that are in your refrigerator. Here is a tip for storing ginger. Peel the skin and wrap it with kitchen paper and then with aluminum foil. Keep it in the freezer and use within 1 month. You can grate the frozen ginger (you don’t need to defrost). Cut vegetables and mix with boiled Udon noodle and the dressing. Categories: Noodle, Udon | Tags: carbohydrate, corn, Delicious, Easy, Ginger, Healthy, Healthy Recipe, Homemade, Japan, lettuce, Noodle, Nutrition, Quick, recipe, salad, tomato, Udon, vegan, Vegetable, Vegetarian, Vitamins | Permalink. In Japan, we often eat eggplant pickles. This recipe is not exactly the traditional pickle but it is a homemade quick and delicious eggplant side dish! As you know, eggplant is a summer vegetable. When we eat eggplant dishes, they make our body cool down so this recipe is great for hot and humid summer days. And this dish includes ginger and sesame seed so it is very nutritious. Japanese eggplant has thiner skin than American eggplant so I never peeled it, but in the U.S. I peel some parts of the skin and leave other parts. I keep some of the skin because it has polyphenol and is good for our health. The recipe is so easy. Slice eggplant, knead with salt and let it sit for 20 minutes. Wash the eggplant and season with grated ginger, soy sauce and white sesame seed. Peel the skin, wrap with kitchen paper and wrap it with aluminum foil. Keep it in the freezer and use within 1 month. You can grate the frozen ginger (you don’t need to defrost). Categories: Eggplant, Pickles | Tags: Delicious, Easy, Eggplant, Ginger, Healthy, Homemade, Japan, Low calorie, Low fat, Nutrition, Quick, recipe, sesame seed, soy sauce, Vegetable | Permalink. Braising is one common Japanese cooking method for fish. 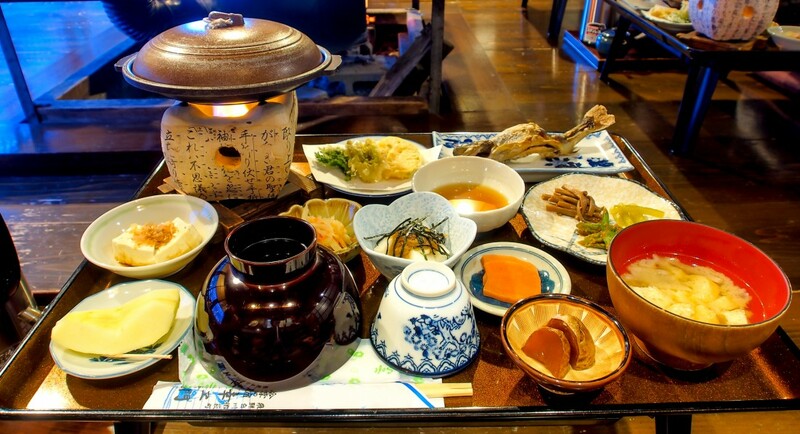 The taste is a typical Japanese “sweet-salty” taste, similar to Teriyaki or Sukiyaki seasoning. We use Cooking Sake , Soy Sauce , Mirin Sweet Cooking Rice Wine and sugar when braising. We usually braise sardine, flounder, alfonsino, mackerel, cutlass fish, yellowtail and so on. I can’t always get many of these fish where I live in the U.S. so I chose Tilapia this time. Tilapia meat is good because it stays good after 15 minutes of braising and it soaks in the delicious sauce well. When you braise fish, please add some slices of ginger. This kills the fishy smell and warms up your body because of the Gingerol action. Enjoy your new fish recipe with steamed rice or with Japanese Sake!! Categories: Fish | Tags: braised, Delicious, DHA, Easy, EPA, fish, Ginger, Gingerol, gluten free, green onion, Healthy, Homemade, Japan, minerals, Nutrition, protein, recipe, sweet-salty, Tilapia, Traditional, Vitamin B12, vitamin D, warm up | Permalink. Have you ever eaten canned sardines!? It is a great pantry food, which is very useful and delicious! Today I introduce you to “Sautéed Sardines”. This is a canned sardines recipe that is very flavorful, nutritious, and quick! I often use canned sardines as a salad topping, sauté dish, pasta ingredient, pizza topping, on rice bowls, and so on. As you know sardines are very substantial. They are high in protein, calcium, vitamin D, DHA (docosahexaenoic acid), EPA (eicosapentaenoic acid), vitamin Bs, coenzyme Q10, minerals, and so on. DHA works to activate the brain and EPA works for decreasing LDL cholesterol concentration in the blood and for boosting HDL cholesterol levels. http://nurse-web.jp/kouka/sardine/ http://www.wakasanohimitsu.jp/seibun/sardine/ I highly recommend eating sardines (including canned sardines, dried anchovy, or canned anchovy) everyday. This time I used skinless and boneless canned sardines, but many canned sardines have skin. Even if your canned sardines have skin or bone, you can follow this recipe (You can eat the skin and bones which are high in calcium). In addition, minced green onion is an essential ingredient in the Japanese diet so I always keep minced green onion in the freezer. I add the frozen minced green onion to the dish during the very last part of cooking process. 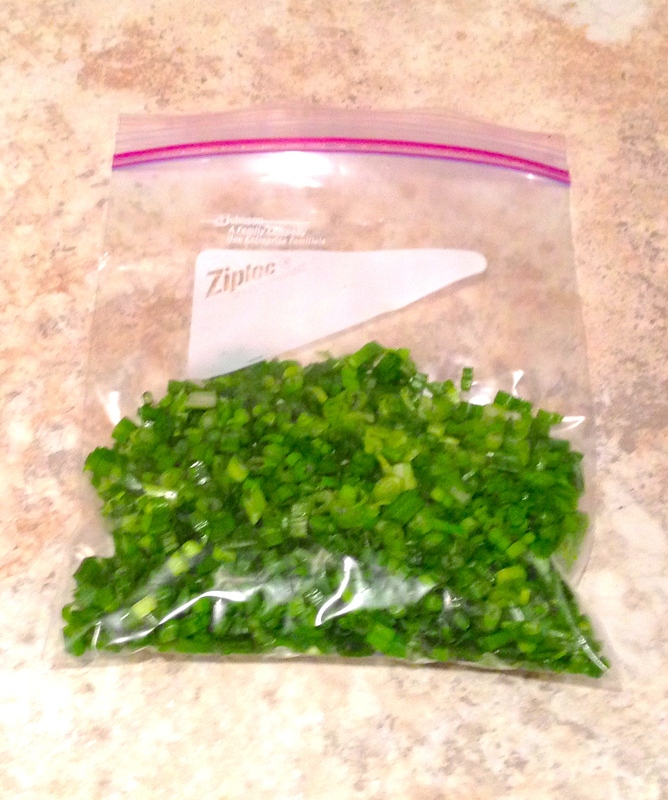 To store, put minced green onions in a freezer bag and place in the freezer. Please use within a month. Categories: Sardine | Tags: Calcium, coenzyme Q10, Delicious, DHA, Easy, EPA, Garlic, Ginger, gluten free, green onion, HDL, Healthy, LDL, Mineral, Nutrition, protein, Quick, recipe, vitamin Bs, vitamin D | Permalink. Mapo-Tofu is a popular Chinese dish. This recipe is totally my mother’s creation based on Mapo-Tofu. My mother came up with this recipe because the original dish is so spicy and I couldn’t handle it. This dish is very healthy because it has great protein, which comes from a combination of meat and tofu, so we always had this Non-Spicy Mapo-Tofu in our house. The recipe is so easy to cook. It basically involves cooking ground chicken and tofu in chicken broth and then seasoning it in the same pan. You can also use any kind of ground meat and any kind of broth in this recipe. I recommend you enjoy tasting everything on the plate, the meat, the tofu, and the soup flavor! Because of the finished presentation you may think of it is a soup dish, but we eat it as a main dish with steamed rice. Enjoy your new healthy and yummy dish!! Categories: Chicken, Tofu | Tags: Asia, Chicken, chicken broth, Delicious, Easy, Garlic, Ginger, gluten free, ground chicken, Healthy, Homemade, Mapo-dofu, Nutrition, protein, Quick, recipe, sesame oil, Tofu | Permalink.